WASHINGTON — Racially motivated, civil rights-era killings that are now cold cases will get fresh looks under legislation signed by President Barack Obama. 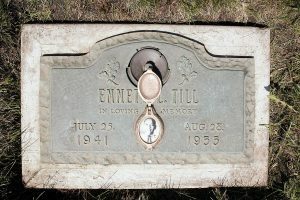 The bill is named after Emmett Till, a 14-year-old black boy killed in 1955 after whistling at a white woman. His killers were acquitted of murder but later admitted their crimes to a reporter and couldn’t be retried. The law provides federal resources to local jurisdictions to look into the cases and extends the time span of cases to be considered to Dec. 31, 1979. It will also require the Justice Department and the FBI to consult with civil rights organizations, universities and others who had been gathering evidence on the deaths. There has so far been one conviction as more than 100 cases from the 1960s and earlier have been reviewed. New racially suspicious deaths have been identified for investigation.